The Epoxy Damsel's trigger points are the movement of the marabou tail and the iridescent wing case. Hook : Scorpion Living Larva. Eyes : Glass beads or black mono eyes. Tail : Marabou dyed medium olive. Body : Medium olive rabbit dubbing. Thorax : Medium olive rabbit dubbing. Wing case : Raffene strip with epoxy over. 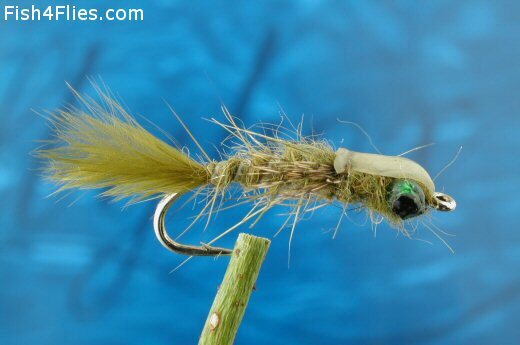 Currently there are no comments about the Epoxy Damsel fly pattern from other fly fishermen yet.